First, how do we define the term civic tech? Like any new movement, civic tech means different things to different people. But, put simply, civic tech is the application of technology—mostly in the form of source code—and user-focused design to civic issues. I would argue that civic tech is economic development in three key ways. First, civic tech is innovation. It’s generating ideas and adapting old tools in new ways to existing, sometimes very tired and reoccurring, problems. Sure, the solutions are not going to solve homelessness or reduce regional crime rates without a combination of efforts, but they are, if done right, more effective than traditional solutions alone by being faster, cheaper, more scalable, and more user-focused. And since all net new jobs are created by small firms—those that are, by necessity, also at the forefront of innovation—innovation is still the silver bullet that every metropolitan area works to foster to, in turn, attract talent to the region and generate high-quality jobs. Second, civic tech is cross-cutting, meaning that it breaks through government bureaucracy and the tech bubble both to harness and meld resources and talent from both sectors. While sectoral differences often mean contradictory value creation models that can lead to conflicting objectives, there are also gains to be had. These gains range from associational value, such as governments having access to more cutting edge technologists and the ability to learn and make system improvements more easily and quickly, to the transfer of resources, such as when entrepreneurs receive a new opportunity to contract with government. There are also important intangible benefits of cross-sectoral partnerships such as built trust, shared knowledge, accountability, and social responsibility. Finally, civic tech is equity. 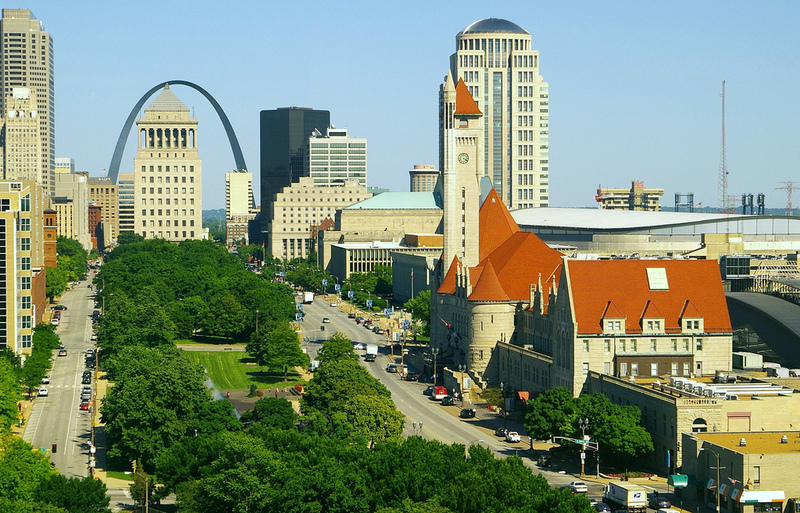 The recession didn’t hit St. Louis as hard as it did other cities, but our rebound has been sluggish. For this and other global economic reasons, for the universal majority there is less pie to go around, meaning fewer high-quality jobs; robust, yet affordable, housing; and tax base to cover much-needed updates to infrastructure and education. Thus, government and philanthropy must work even harder to positively influence how education and work opportunities are distributed across a regional economy. Citizens should share the same suite of possible outcomes no matter what circumstances faced at birth, for which they cannot be held responsible. By its nature, civic tech attempts to relatively quickly and cheaply create and deliver tools that streamline how government interacts with citizens, ultimately empowering anyone to access information and opportunity on their own. These tools are built by and with the everyday citizen, not within teams of coders, urban planners, or transportation engineers. When innovative tool adaptation, public-private tech collaboration, and equitable opportunity-building happens that leads to efficiency, cost savings, and new jobs and ventures, that’s economic development. And that is exactly what the St. Louis civic tech movement is all about.